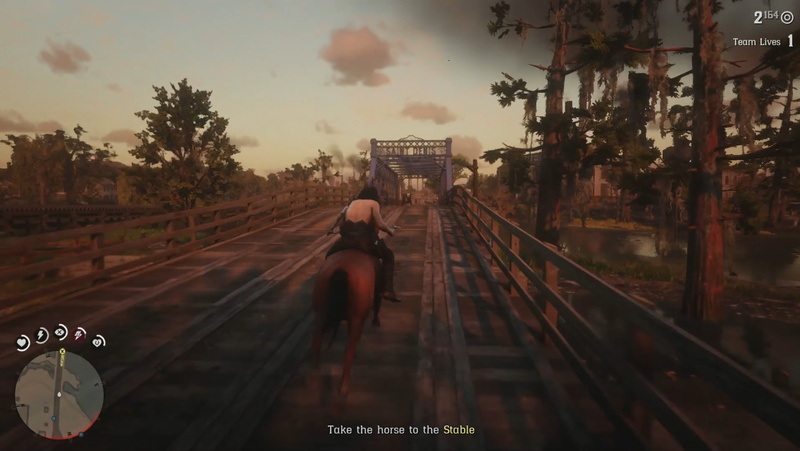 When you begin playing Red Dead Online, you will go through a bit of a tutorial which runs you through the various systems at play in the game’s online. 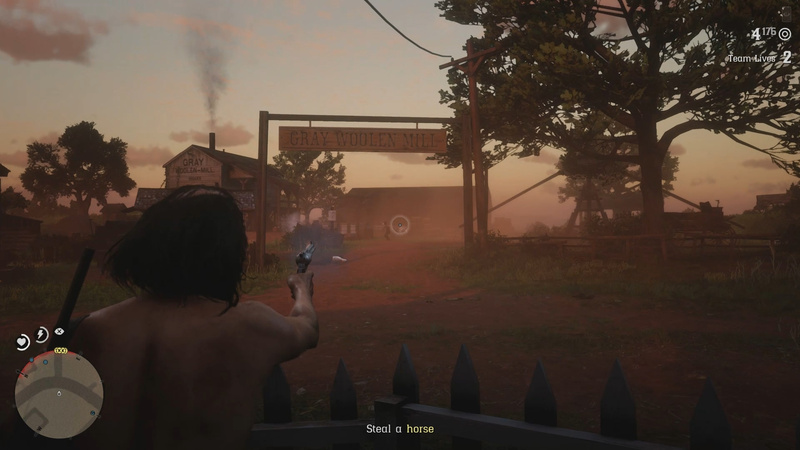 One new addition to the online mode is story missions. These missions play out like those in the singleplayer and can be completed for XP and other bonuses. The first story mission you will receive is from Clay Davies. Below is our Honor Among Horse Thieves guide. Note: Red Dead Online is currently in Beta. 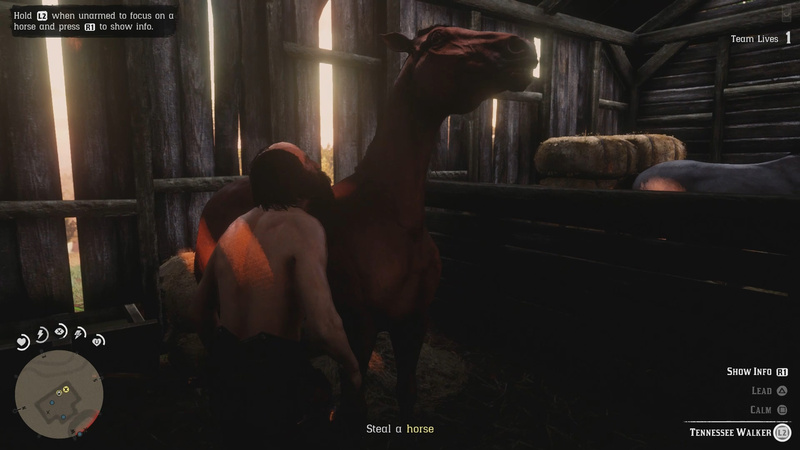 To start the Honor Among Horse Thieves mission, playthrough the tutorial until the C appears on your map. 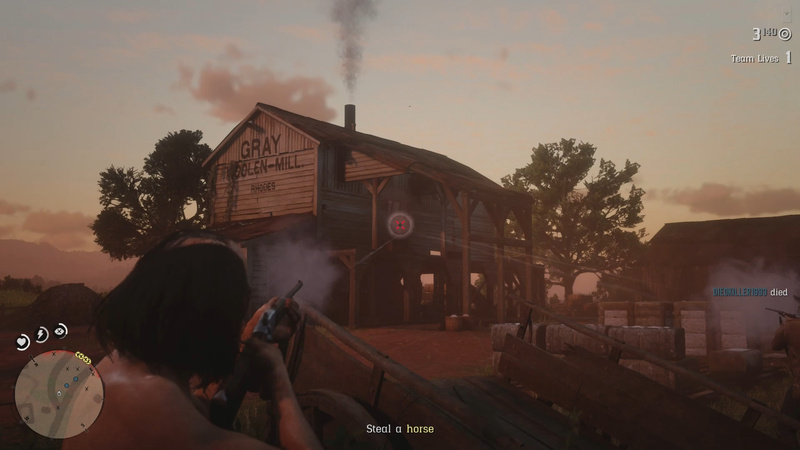 You will naturally progress to the Honor Among Horse Thieves mission by playing through the opening tutorial of Red Dead Online. Once you’ve made your way far enough you will be prompted to see Clay Davies (C on your map). When you visit Davies you will be prompted to start the mission. This mission can be completed with 1 – 4 players. You need to make your way to the Woolen Mill to steal horses. You can approach this section a few ways, but we decided to go in guns blazing. 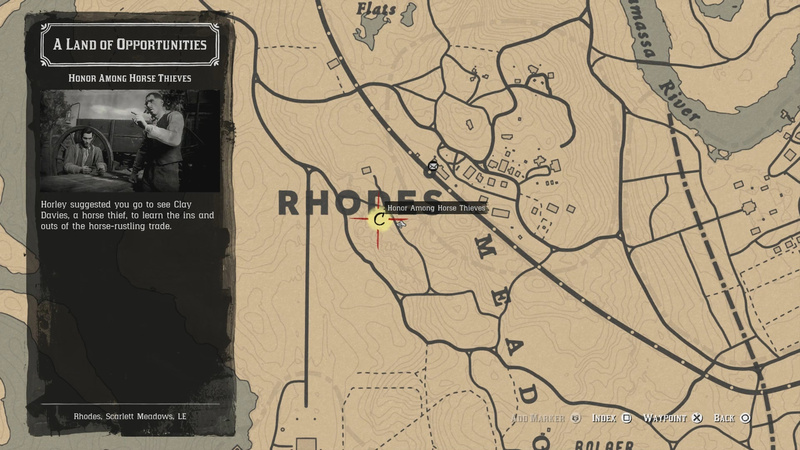 To steal the horses for Clay Davies, you need to go to the location specified by him. The location he specifies is called the Woolen Mill. You can find the Woolen Mill in Rhodes. To get there mount up and follow the mission way point. 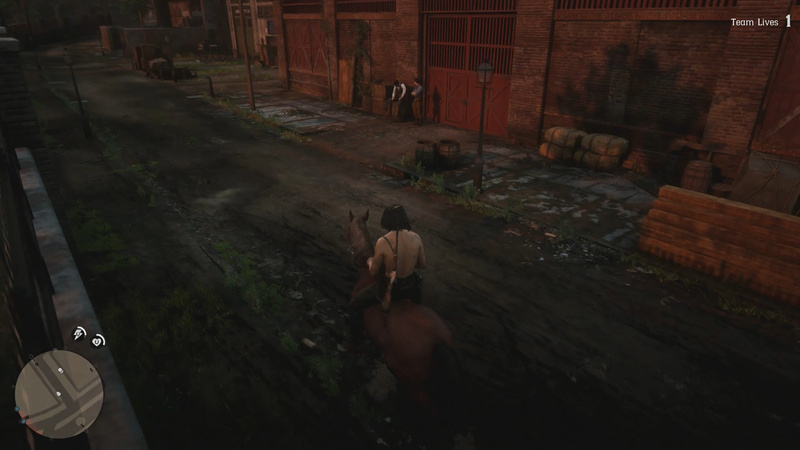 When you reach Rhodes you will want to get off your horse outside the Woolen Mill since there are a number of enemies in the area. In the stable at Woolen Mill you will find a horse you can steal. How you go about completing this next objective is largely up to you. Since the game is multiplayer, the players I was with went in guns blazing. Once everyone in Gray Woolen Mill is killed, approach the Stables to the east. Inside the Stables you will find a horse. Approach the horse, calm it, then get on it. Once you have the horse, take it to the Stable in Saint Denis. You will find the brothers waiting there for you. That’s all for this guide. Keep it locked to HTR for more Red Dead Online coverage. Next Online Mission: The Right Side of the Tracks. Thoughts on our Honor Among Horse Thieves guide? Drop them in The Pit below.